Artistic Nail Design's A Steampunk Affair collection puts a new spin on traditional wedding nail colors. Inspired by the gadgetry and attitude of steampunk, these four shades embrace the romantic and retrofuturistic elements of the style. 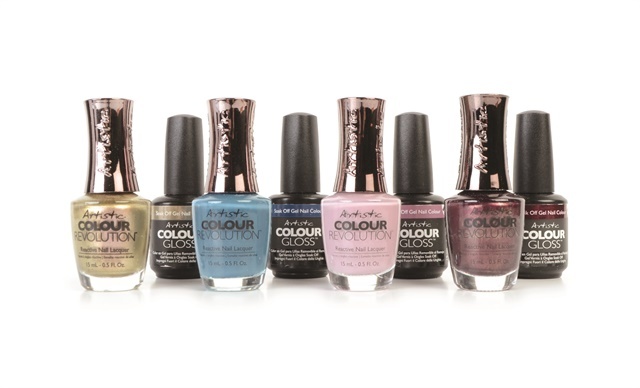 The shades are available in both Artistic Colour Gloss Soak Off Gel Nail Colour and Artistic Color Revolution Reactive Nail Lacquer formulas. Shades include Oh My Gog-gles, a dusty navy blue crème, Gear to My Heart, a cameo pink crème, Mother of Invention, a deep rose shimmer, and Getting Steamy, a metallic golden bronze.